Have you appeared in NCC Men (Spl) 33rd course of Indian Army and looking for final merit list? Indian Army has declared the all India merit list of NCC special entry course today. 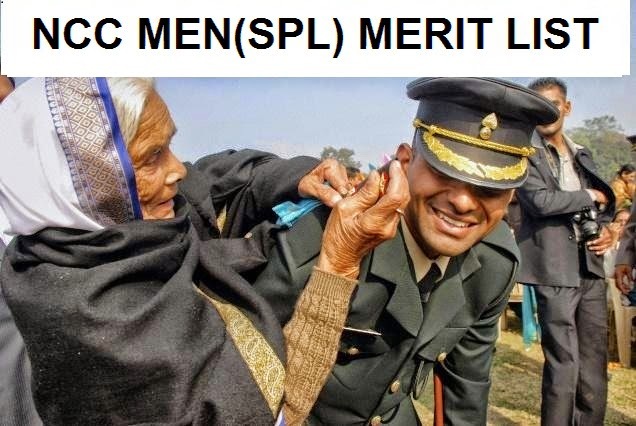 Check out final merit list of Indian Army's NCC Men (Spl). Indian Army recruits NCC cadets into it's various branches as officers. As candidates who have undergone NCC training during their academics will be easy to train and will be more dependable for officer ranks. For this purpose, Indian Army has special courses for NCC men and women. Recently, Army has released notification of NCC Men (Spl) 33rd course. After shortlisting candidates based on their academic performance, SSB interview call letters were sent and interviews were conducted successfully. Indian Army has published final merit list of NCC Men (Spl) 33rd course on its official website today. There are total 44 candidates selected for the course commencing on 08th April 2013. If the candidates are medically fit and completed their education will be eligible to undergo NCC Men 33rd course. All recommended candidates are requested to keep all necessary documents ready as joining date is very near.